Vader is my young 'miracle'. He is a son of Remus and Hanya. He was delivered by Caesarian Section just prior to his mum having lifesaving surgery for stomach cancer. Unfortunately there were no early signs that his mum was so sick and consequently Vader and his sister were the only two to survive. Hanya was in no condition to feed them, so they were hand raised. 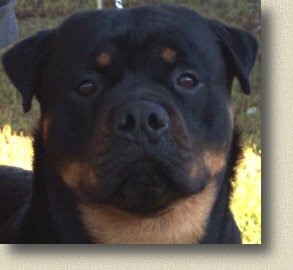 Vader has been lightly shown to date and is already a Baby In Group winner.